Enroll in Angler Academy, a beginner’s workshop to becoming a saltwater fisherman. 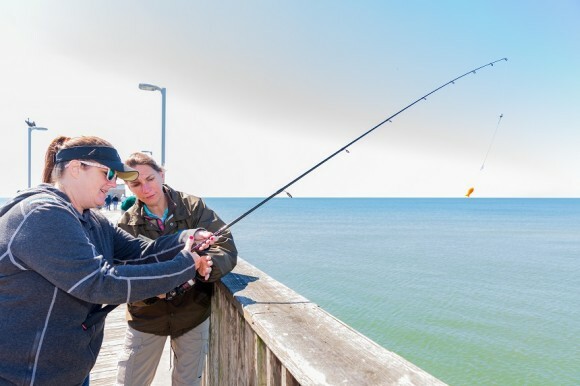 Whether you have little or no experience, the experts at Gulf State Park’s Nature Center will provide you with the tools and rules of saltwater fishing before casting out into the Gulf from the 1,540-foot pier. You will learn how to prepare your line and what bait to use to reel in a big catch. Even first-timers can become pros if the fish are biting. All fishing equipment is provided.